Vehicle diagnostic service in Manchester, Lancashire. 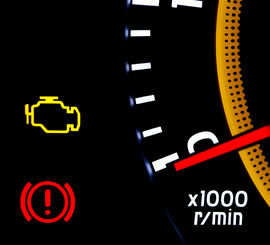 ECU, dashboard lights and engine management errors diagnosed. Fully insured. DPF Cleanse is your specialist for engine diagnostics in Manchester, Bury, Bolton and across Lancashire and the North West. ECU faults and dashboard error messages can appear at any period in a vehicles' life, and can be expensive to repair at main dealers. Maybe your dashboard is showing a light or message you're not familar with, or perhaps you're experiencing a performance issue when driving? 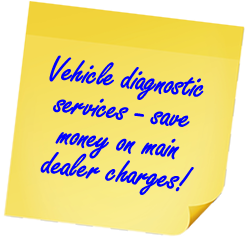 With competitive prices on all jobs our experienced team and state-of-the-art diagnostic equipment can identify the causes of dashboard error lights and performance problems, and then perform any fixes required to get your car, van, PSV or goods vehicle running efficiently as soon as possible. In order to deliver the best service available we use the same standard of engine management diagnostics equipment as those used by main vehicle dealers. Our fully insured service involves plugging in to your car's onboard diagnostics port (where available) in order to pull data from the Electronic Control Unit (commonly referred to as the ECU). We can then interpret the results and produce print-outs of fault messages for your records. Our repair centre is based in Radcliffe and is easily accessible from surrounding areas including Manchester, Bury, Bolton, Rochdale, Oldham, Preston, Warrington, Cheadle, Stockport, Chorley and Burnley, and only a few minutes' drive from the M6. To make an enquiry or book a diagnostics appointment please call our friendly team or complete the online enquiry form, and we'll get back to you with confirmation of pricing and available time slots.